The immigration law practice at Murphy Desmond S.C. can help with the following immigration matters. Our comprehensive family-based and individual immigration services include petitions for spouses, fiancé(e)s, children, parents, and siblings, as well as applications for employment authorization, applications to adjust status to permanent residence (the "green card" process), petitions for the removal of conditional status, immigrant and nonimmigrant visa processing through consulates abroad, and immigration-related adoptions, among other matters. With regard to all family and individual cases, it is our practice to represent our clients at their interviews with the U.S. Department of Homeland Security, Citizenship and Immigration Services (USCIS) before the adjudicating immigration officers. Our immigration lawyers serve businesses with numerous professional legal services. We advise clients regarding the selection of appropriate visa categories for international employees. We help clients navigate the process of changing a visa status for potential employees within the U.S., as well as necessary visa extensions needed to maintain lawful employment. This includes the following visa categories: H-1B (professional worker), TN (NAFTA professional), J (exchange visitor), and B (temporary visitor), among others. For the permanent residence process, we obtain Prevailing Wage Determinations, file applications for permanent labor certifications (PERM) with the U.S. Department of Labor and prepare immigrant petitions under the EB1 (extraordinary ability, outstanding professors/researchers and multinational business executives), EB2 (advanced degrees, exceptional ability, national interest waivers), or EB3 (professional and skilled workers) employment-based categories. After the immigrant petitions are approved, we handle the preparation and filing of applications for adjustment of status, employment authorization, and travel authorizations. We also handle consular issues of nonimmigrant and immigrant visas based on employment. The immigration law practice group at Murphy Desmond represents clients in connection with the preparation, filing, and guidance through the entire visa process with the Department of State and U.S. Consulates worldwide. We assist clients in obtaining the following visas: K (spouses and fiancées), B (temporary visitors), F (university and college students), H (employment), TN (NAFTA professional), and J (exchange visitor) categories. 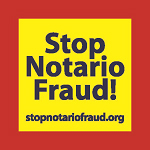 We also assist with extensions and changes of status for eligible individuals. Citizenship is the pinnacle in the immigration process, and we recognize the significance of applying for naturalization. We handle all types of naturalization cases, including three-year, five-year and special naturalization cases, such as military personnel. Naturalization is not always a straightforward matter, and we understand the many challenges inherent in naturalization cases. We approach each case with respect for each of our clients' specific circumstances. We also assist individuals and families in obtaining U.S. citizenship in cases of acquired or derived citizenship for family members who have been born outside the U.S. The immigration attorneys take a special interest in self-petitions for battered immigrants under the Violence Against Women Act (VAWA) and petitions for U Visa for victims of certain crimes under the Victims of Trafficking and Violence Prevention Act (VTPA). We also have considerable experience handling humanitarian relief cases such as Temporary Protected Status (TPS) and extreme hardship waivers. Our immigration lawyers routinely assist clients with appeals, motions to reopen, deportation matters, and removal defense. We litigate cases with the U.S. Department of Justice, Executive Office for Immigration Review (EOIR, Immigration Court), the Board of Immigration Appeals (BIA) and U.S. District Courts in Wisconsin and U.S. Court of Appeals for the Seventh Circuit. As experts in federal immigration laws and regulations, the immigration attorneys at Murphy Desmond S.C. advise businesses to abide by procedures that prohibit the employment of unauthorized workers, and to verify the employment eligibility of all employees. We review, update and develop policies and procedures to help ensure compliance with federal regulations. We are also experienced in Form I-9 Employment Eligibility Verification issues, including the handling of internal and government audits. The immigration law practice group also offers assistance with Social Security No-Match letters and employment issues arising after the receipt of these letters. If an employer does not have an appropriate policy or procedure in place for handling these matters, we can assist in updating employment policies and training key staff to ensure that all employment procedures are aligned with current immigration laws and regulations. 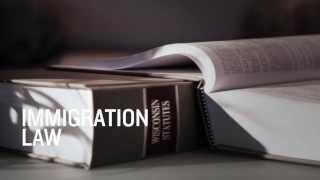 For questions or to arrange a consultation with an immigration lawyer in Madison, Appleton and Janesville, please call 608.270.5550 or email us at infoimmigration@murphydesmond.com.